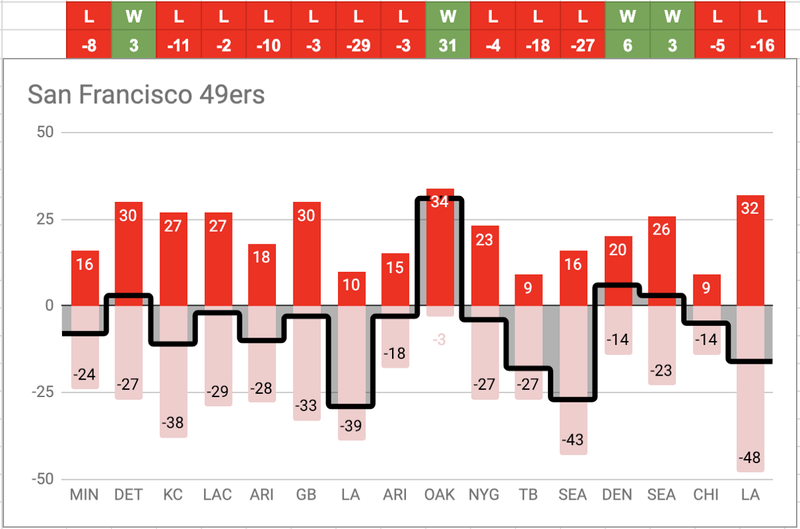 As always a-la CDM, my obsession with sports data visualization. 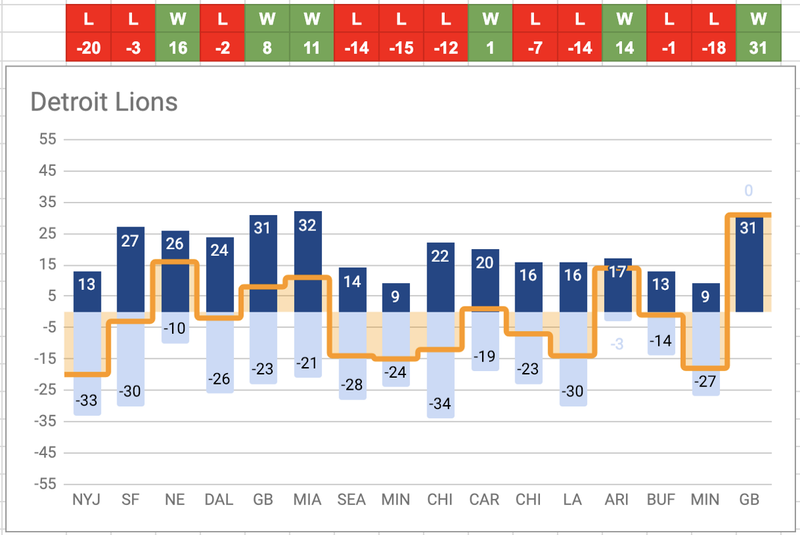 As we get ready for the first games of the NFL Playoffs here is the full picture of how each team performed during regular season, in order of playoffs ranking. 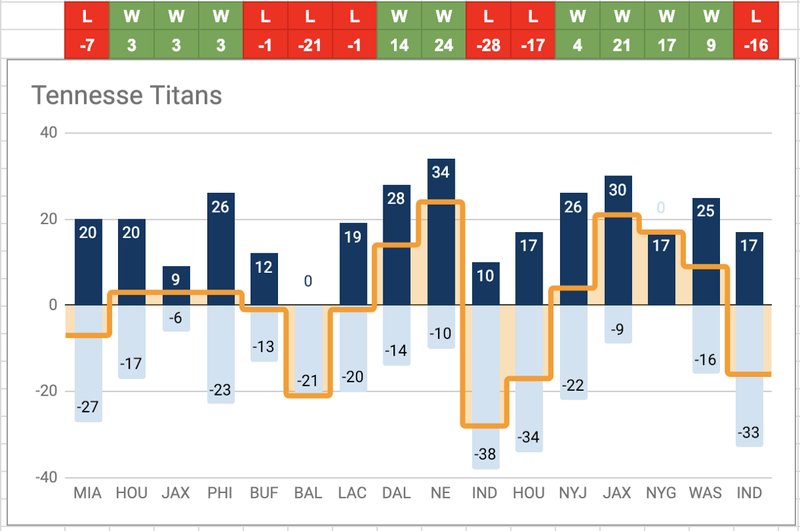 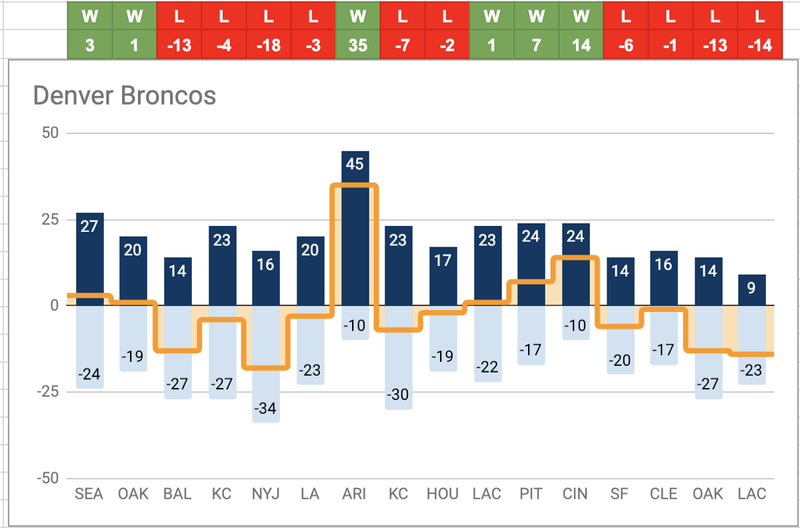 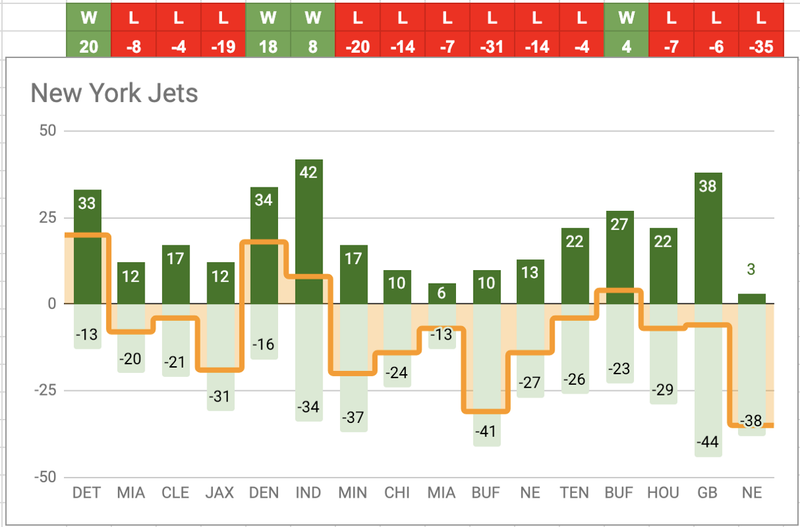 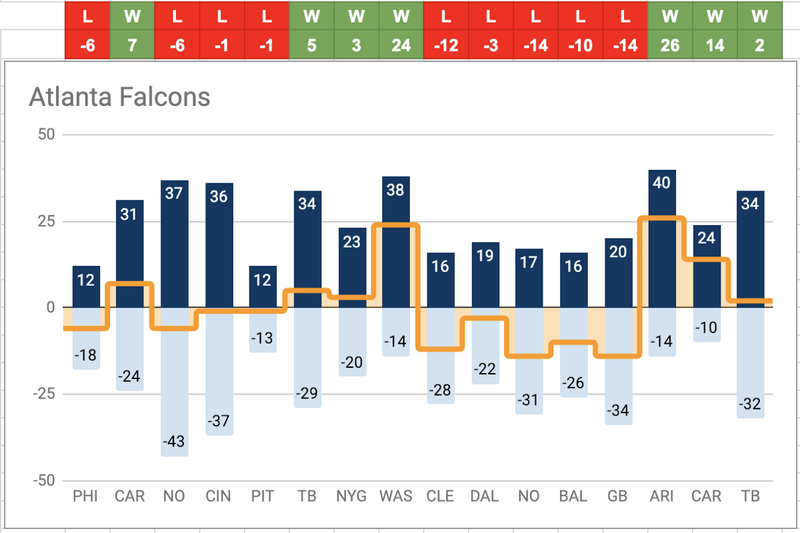 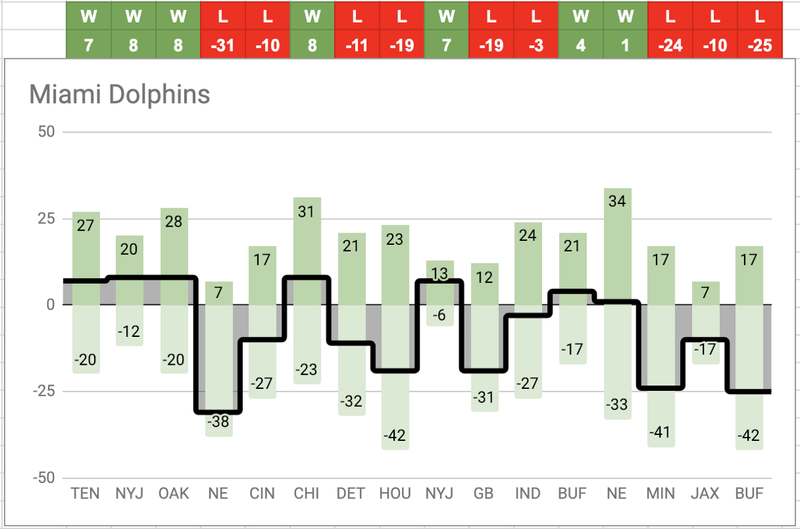 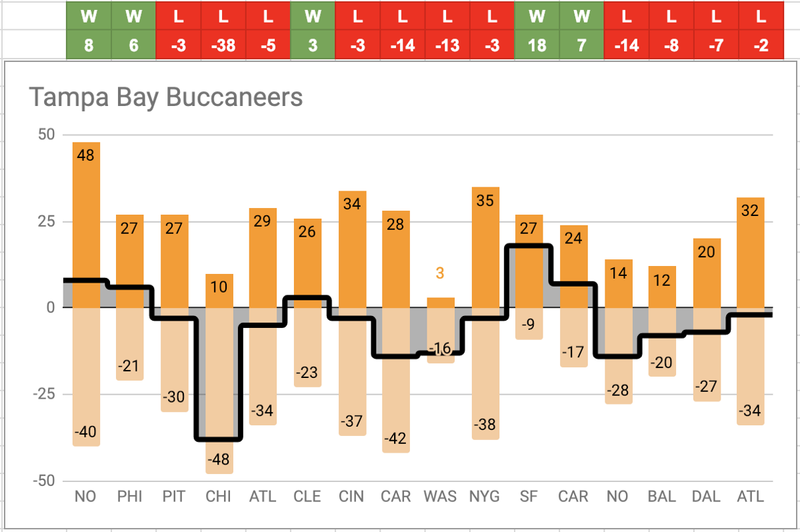 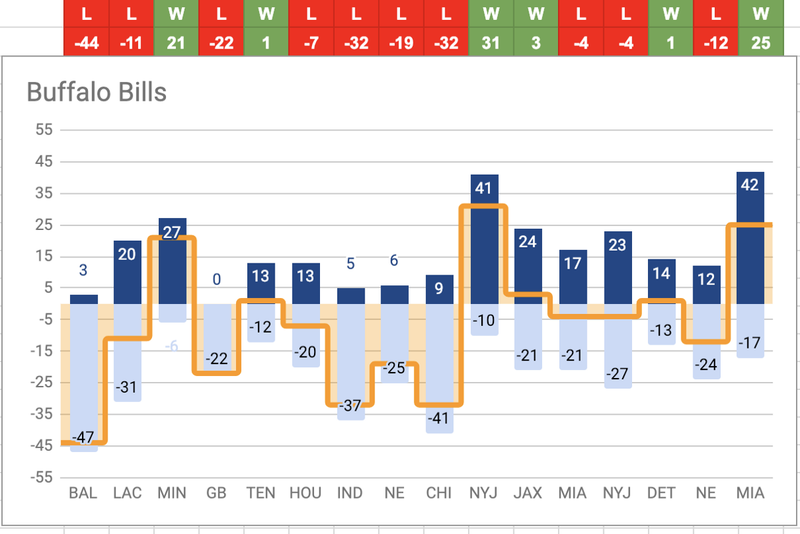 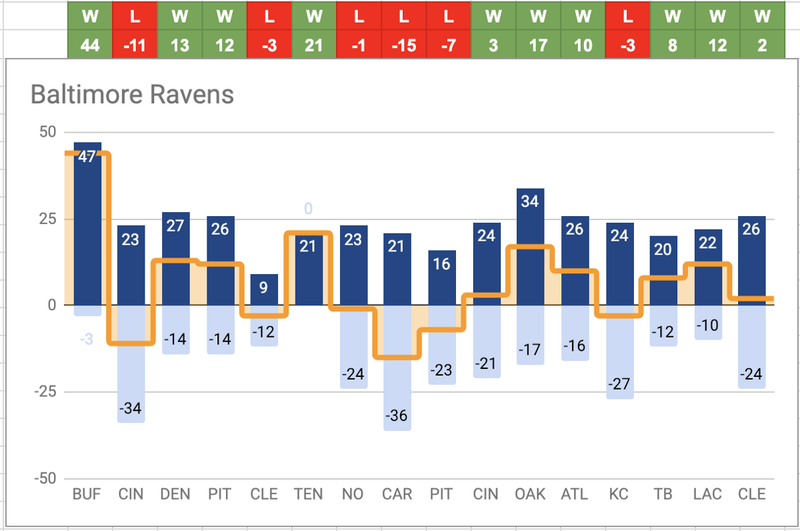 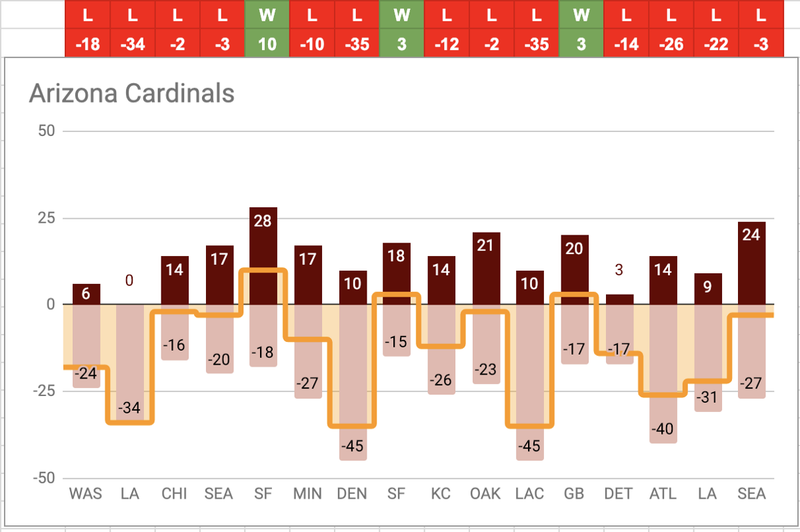 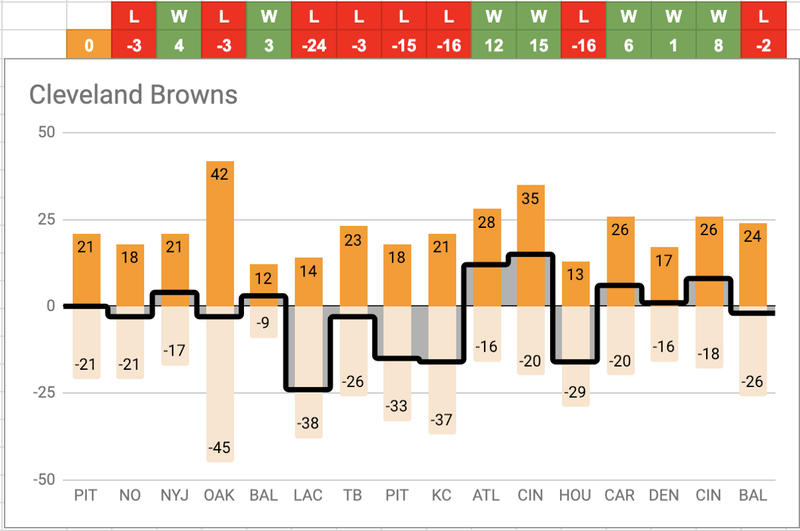 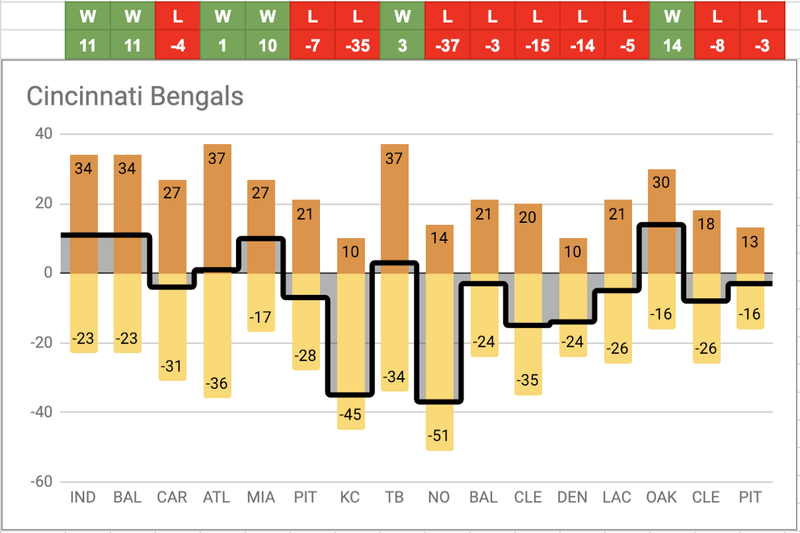 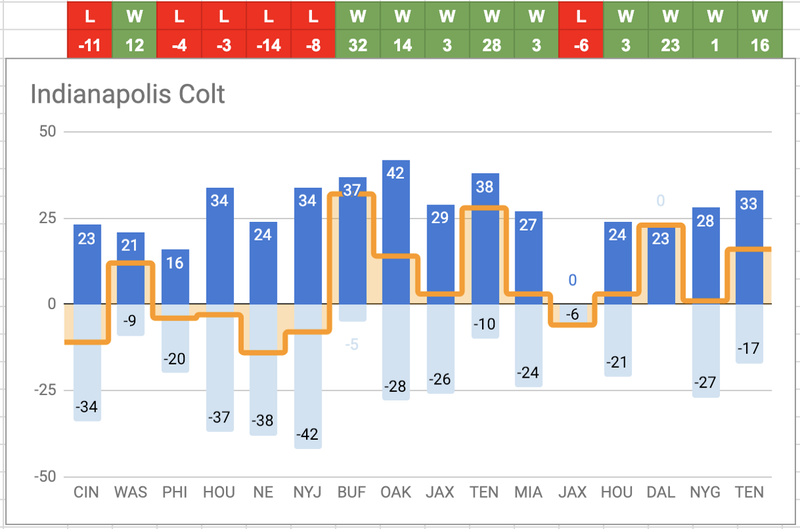 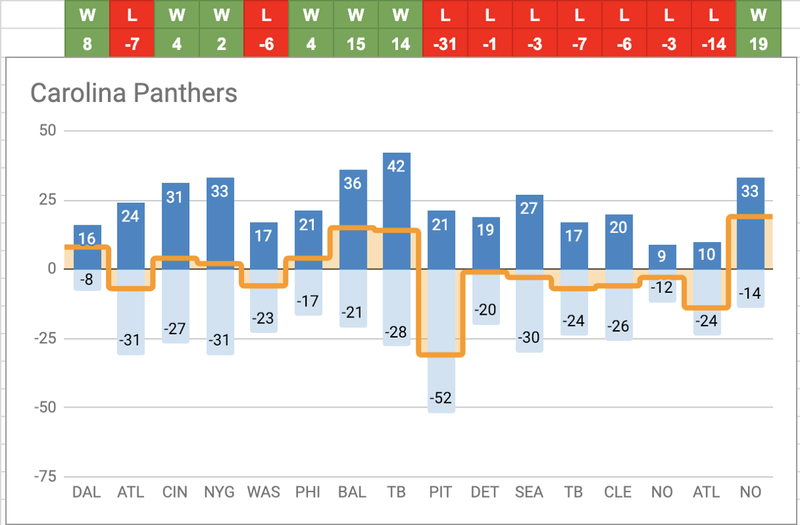 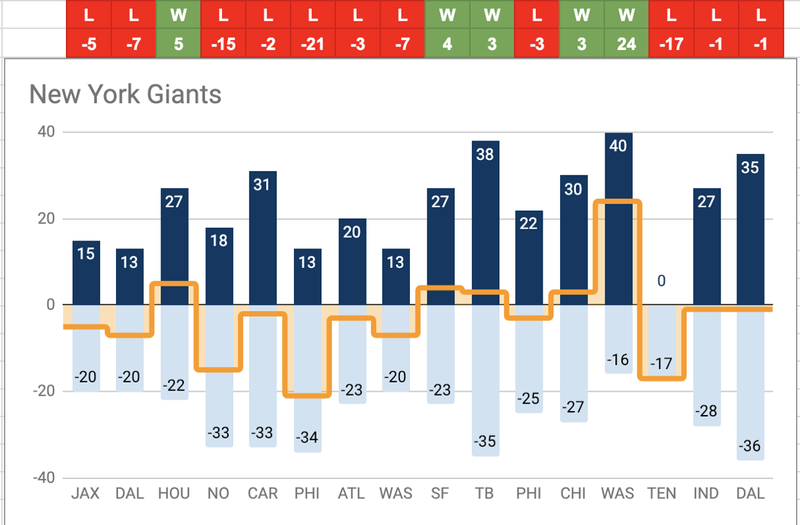 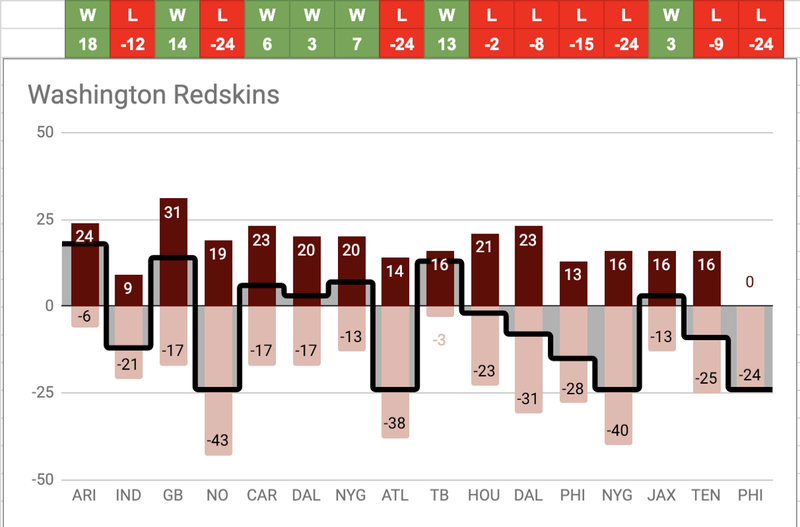 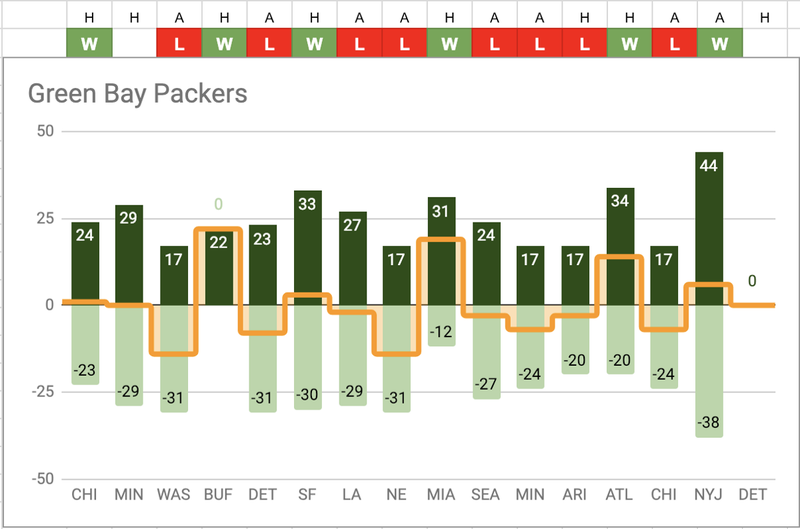 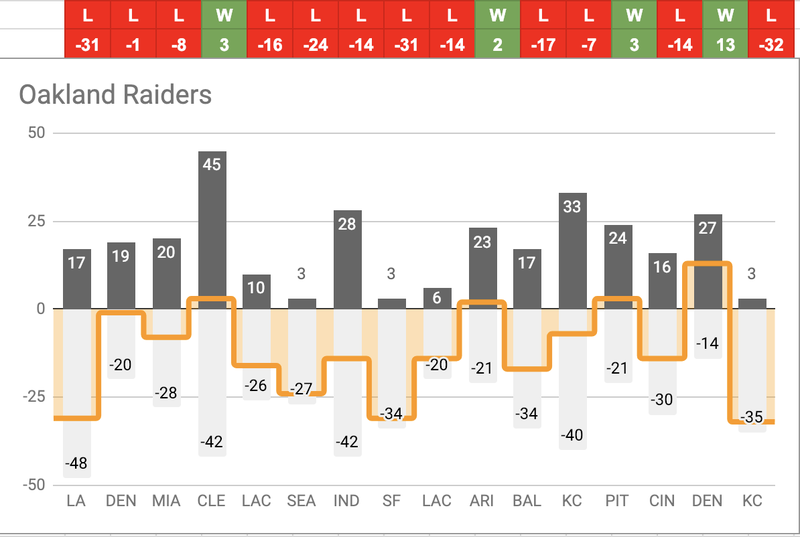 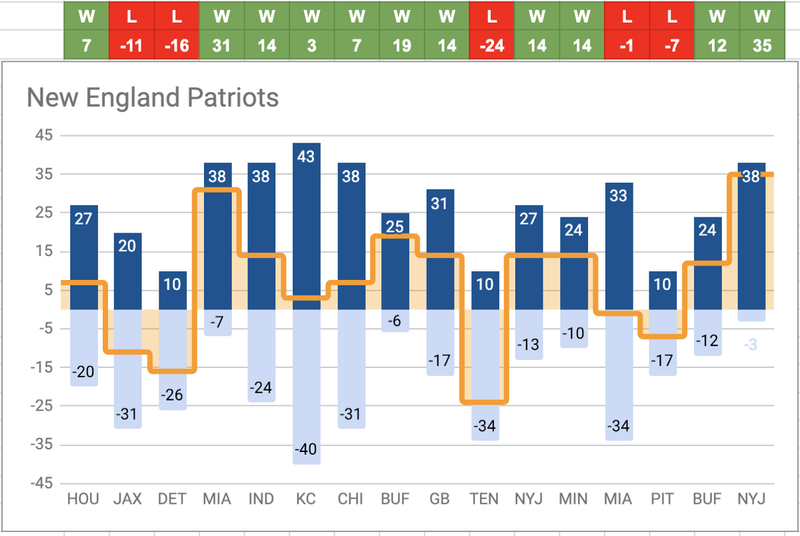 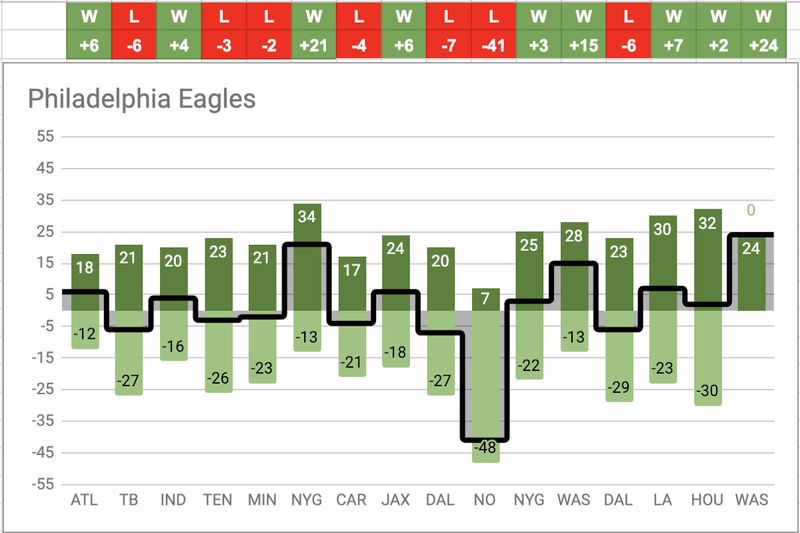 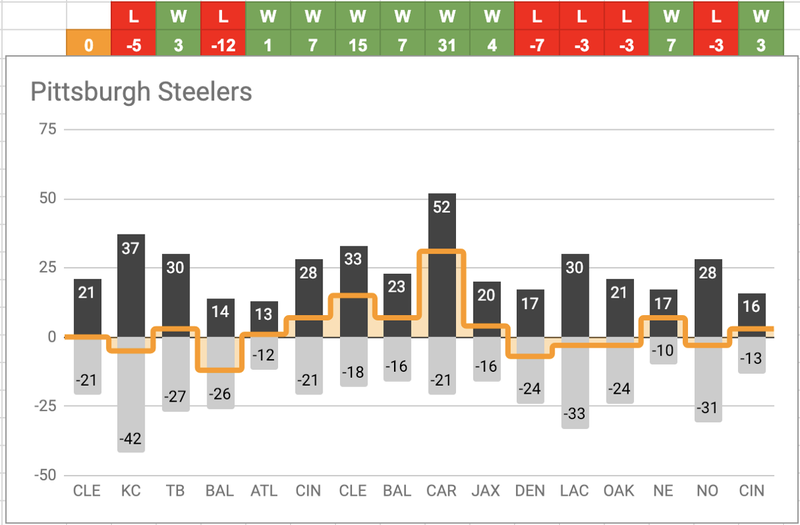 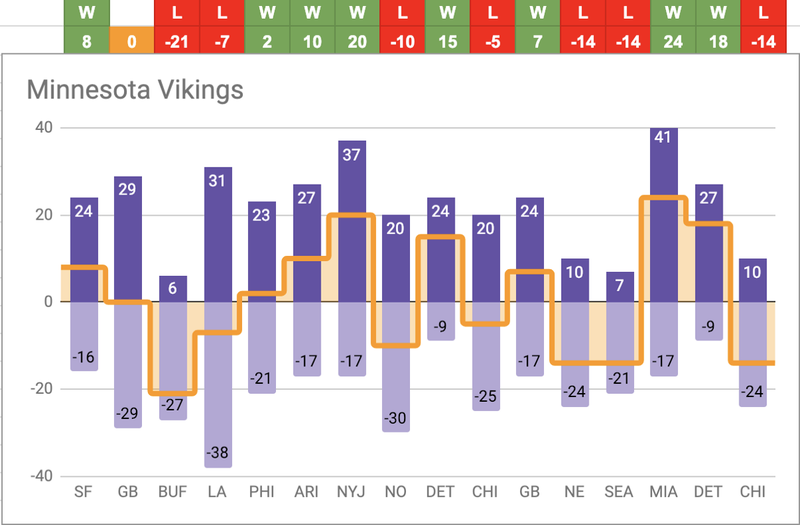 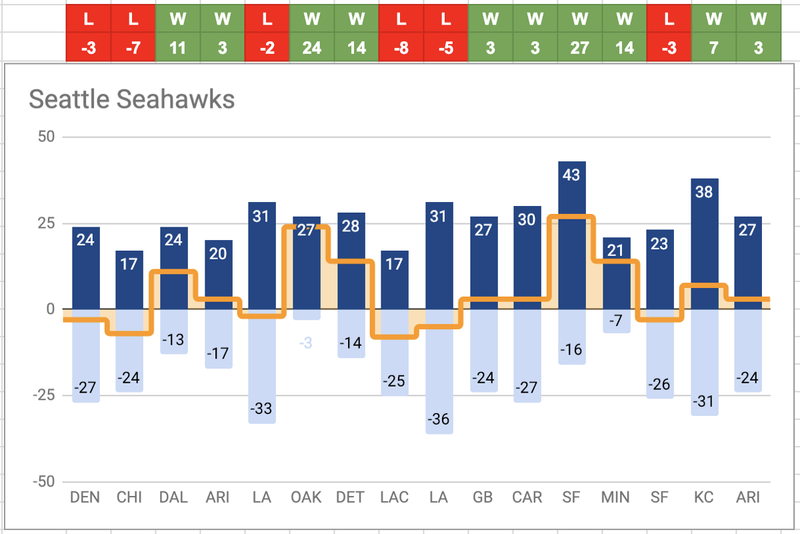 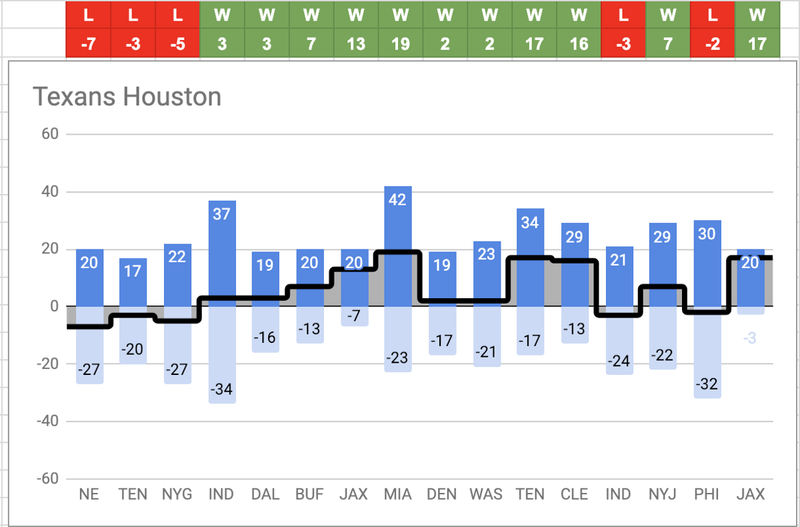 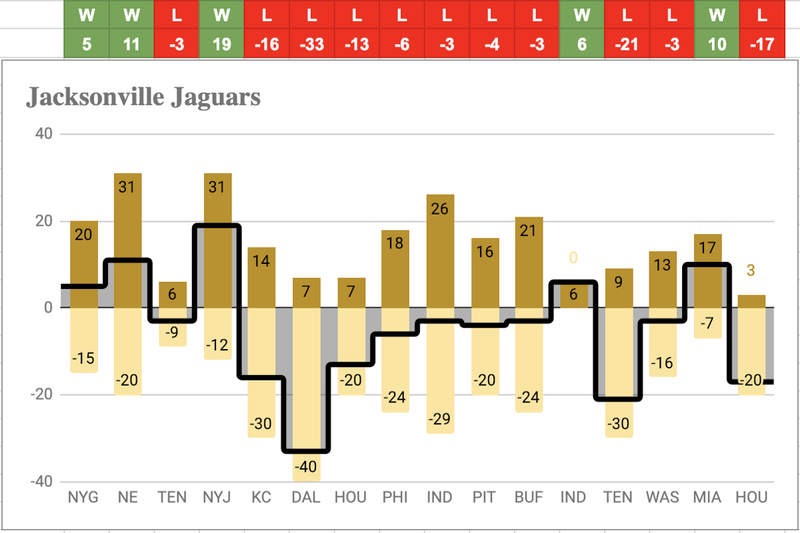 Each team is presented in a chart which contains all games with points scored and points against and a line that indicates the points difference, positive is a win, negative is a game lost. 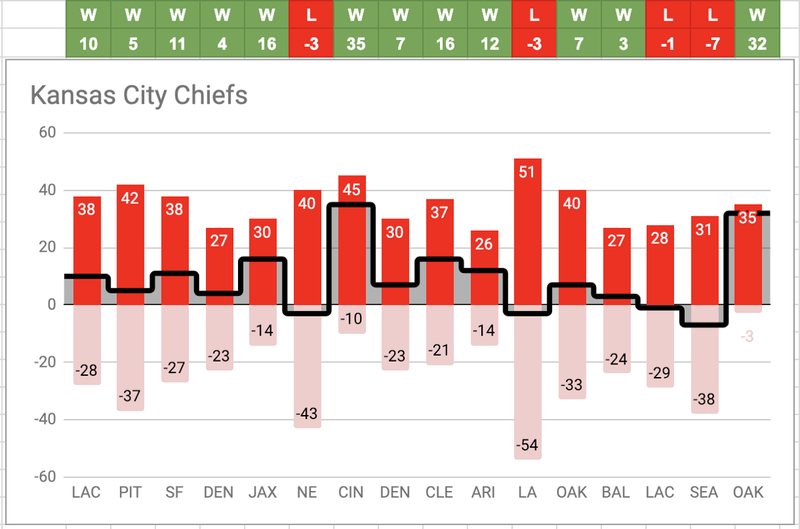 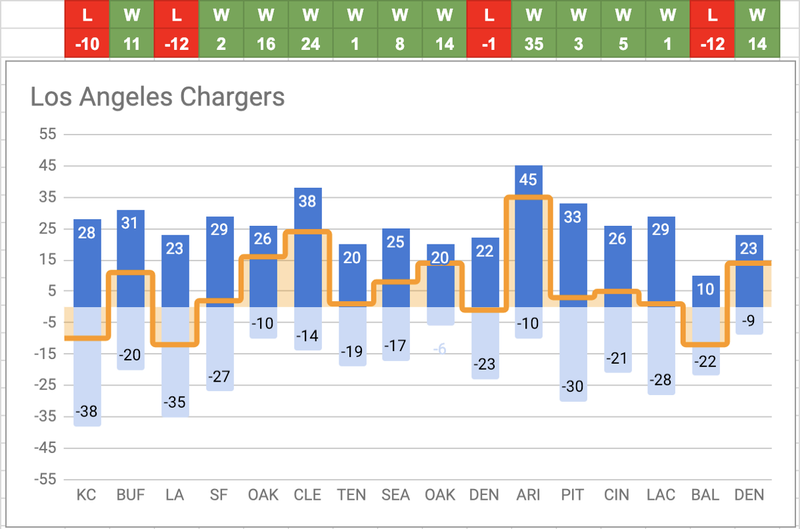 It may be interesting to check how teams did during the season, for example notice how the Chiefs had always strong scoring averages and the few (4) games they lost where for few points (-3, -3, -2, -7) and by the way they lost to teams who are all in the Playoffs. 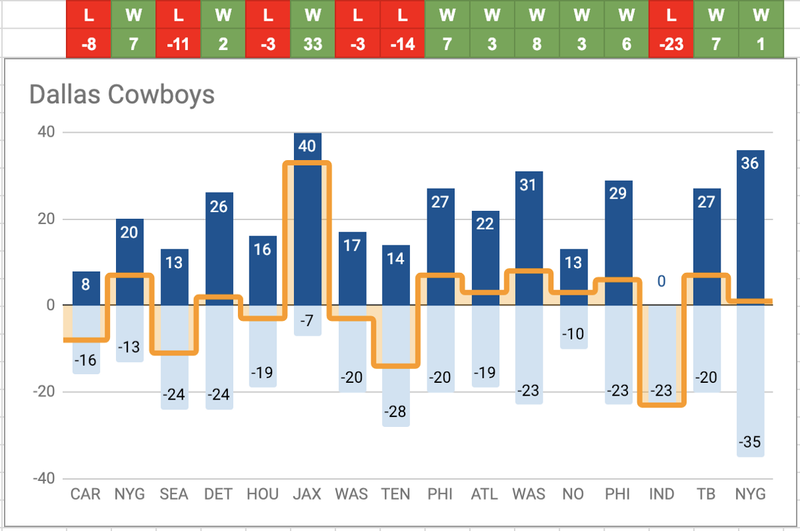 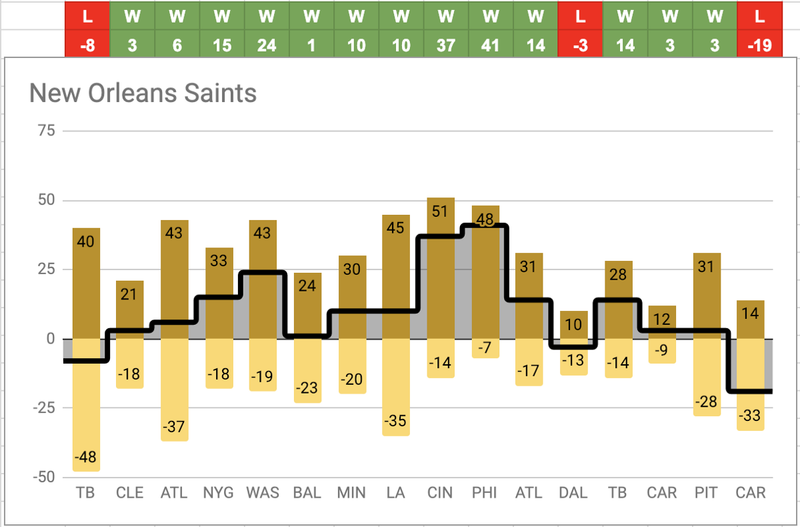 The Saints, if you remove the first and the last games, always had amazing scoring averages and point differences, except for the game they lost with the Cowboys, by 3 points. 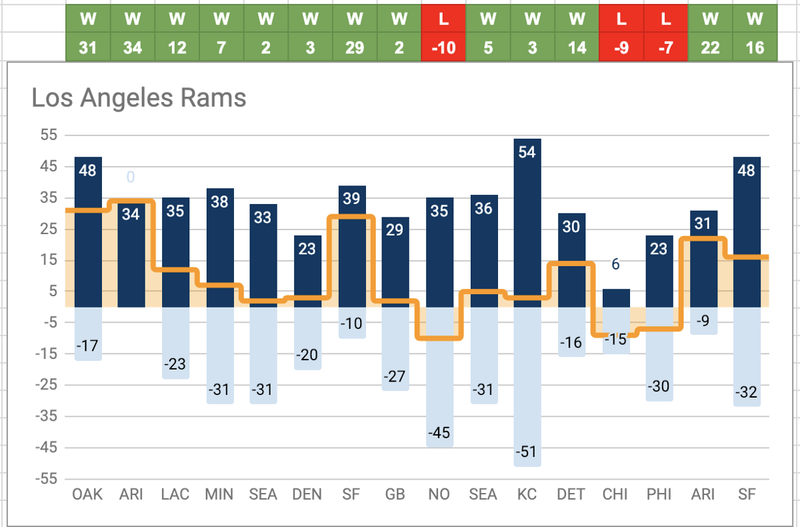 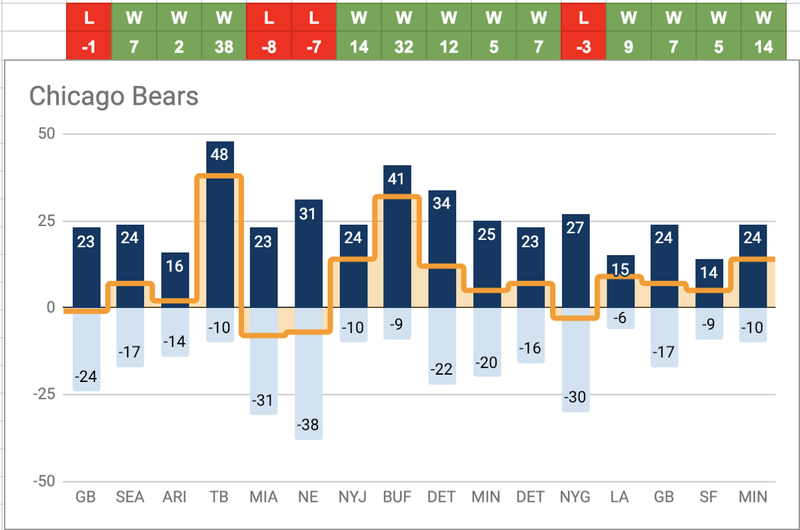 The Rams with an impressive season, only one scored less than 20 points, when they lost to the Bears, and only 4 times scored less than 30.